In 1984 he left academia and entered industry as a developer of intelligent sensors for the automation industry. In his first four years he submitted and was granted six patents in the above mentioned field. In 1990 he took up a position as a senior executive of his last employer and became its joint CEO and Managing Director in 1994. One of his important tasks was chairman of the board of the directors of a joint venture company in Shanghai. Over a period of sixteen years he visited and worked in China on numerous occasions. Mike Sanders is a semi-retired MI6 spy, training new recruits up in the Scottish hills, and glad to have left his dangerous operational role behind. Heidi Klusman is an investigative journalist due to arrive shortly in Edinburgh to spend some time with him. Their relationship is very close but they continue to lead separate lives, that is until they are once more dragged into the world of intrigue and espionage - she by the German BND and Mike by MI6 which has inexplicably lost their second operative in China over a very short period of time. Reluctant to become involved in espionage again, they are nevertheless lured into an operation which involves them in a highly dangerous attempt to counter a scheme hatched at the very top levels of the Chinese and North Korean military - a scheme which involves a secret international Tong network and which, if successful, could change the world order for ever. 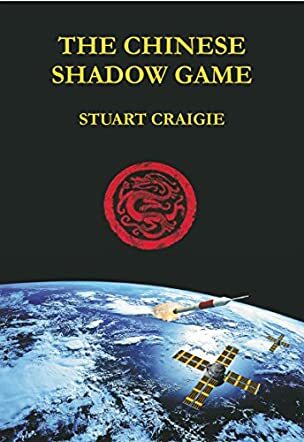 The Chinese Shadow Game by Stuart Craigie is a fast-moving, highly detailed thriller with the action moving at a breathless pace from Scotland to London, Shanghai, Pyongyang and the mountains of North Korea. It involves the British MI6, American CIA and German BND Intelligence services in an imaginative plot peppered with some very nasty villains. The Chinese Shadow Game has many interesting ideas and is written by an author obviously familiar with the countries and locations in which the story is set. The history and connections between Chinese and Korean families, together with the development of Tong organisations, were enlightening. Stuart Craigie has produced a thoughtful and original premise for this genre.